Receiving Christmas cards in the mail during the Holiday season is like receiving small presents each time the mail comes. 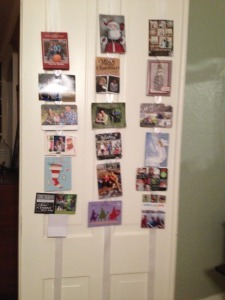 I love catching up with friends and their families at least once a year through photos and letters. 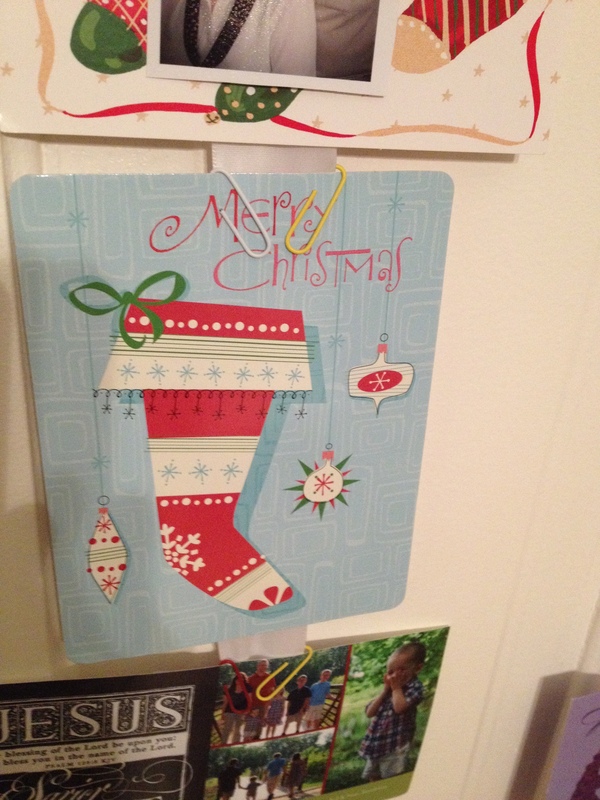 An easy and inexpensive way to display these images throughout the season is with ribbon and paper clips. 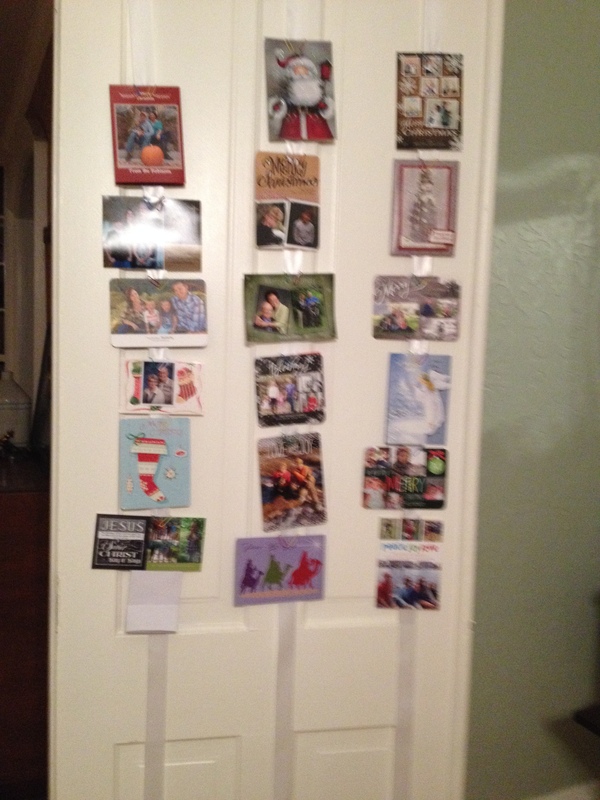 I secured the ribbon to a door in my parlor and each time a card comes in the mail, I simply paper clip it to the ribbon. 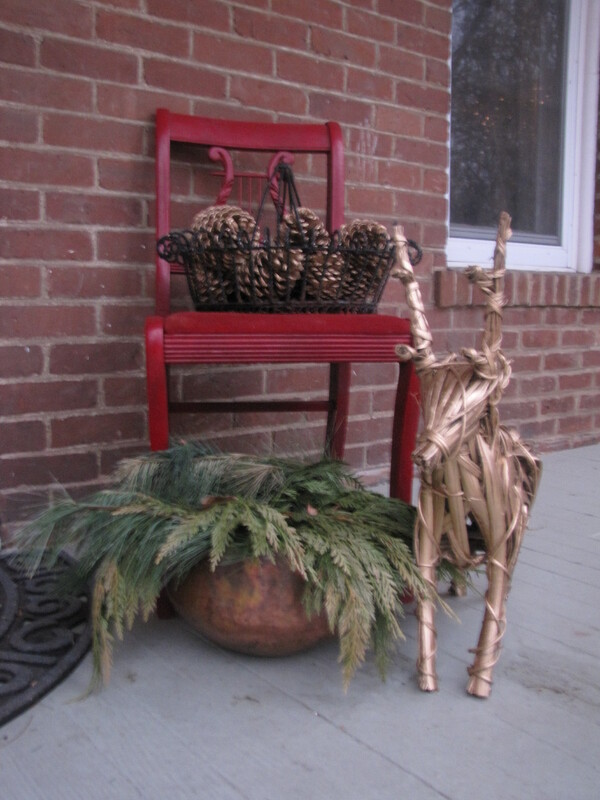 A $3 thrift shop find inspired my front porch decor this holiday season. When I found the wicker deer he was green and had some faux flowers around his neck that had seen better days. 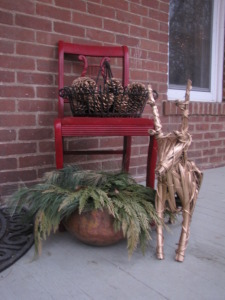 So, with some gold metallic spray paint I had left over in my craft closet, I painted the deer and a bag of large pine cones I found in the bottom of one of my Christmas boxes. For the urn, I decided to do something a bit different this year. So, instead of my typical greenery, I put the hot glue gun to good use and glued a bunch of shatter-free balls together. A few years ago we visited my Cousin Lori and her family around Christmas and they shared a holiday tradition with us that I think is brilliant. Basically, each year when they unpack their holiday decorations, they wrap up all their Christmas books. Then on Dec. 1 they give their children a new Christmas book along with a pair of Christmas PJs. 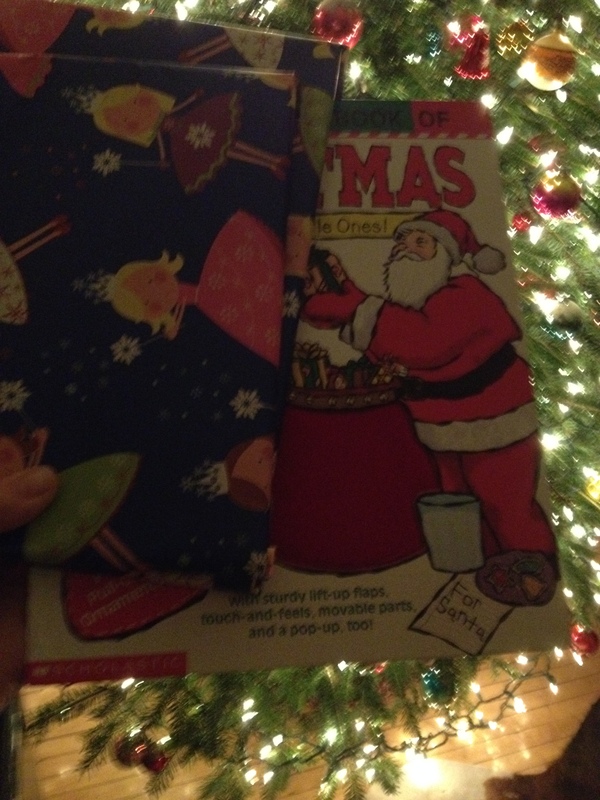 Then, each evening until Christmas, their children get to unwrap another Christmas book. The books are enjoyed throughout the season and then packed away with the Christmas decorations to be enjoyed the next holiday. We started the tradition with about 8 books and have built up to about 15 Christmas books. 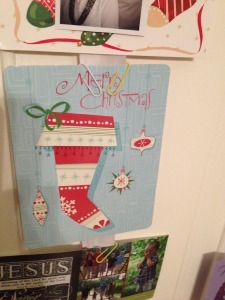 It is a fun way to rediscover Christmas books each season and count down to Christmas.